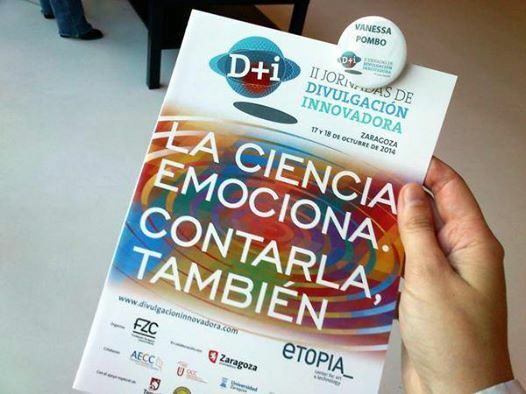 On the 17-18th of October, at Utopia Center for Art an d Technology in Zaragoza, took place the second edition of the Meeting on Innovative Outreach (II Jornadas de Divulgación Innovadora D+I). More than forty communicators from all over Spain met during these two days to present and share different approaches and strategies for communicate science. An intense meeting in which, under the motto ‘Science excites. 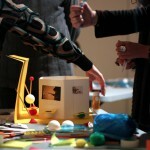 Telling it, also’, professionals were able to discover innovative approaches, strategies and formats to talk about science. Humor, theatre, dance, magic, music, videogames, workshops… were some of the outreach ‘tools’ presented. In addition to the professional sessions, citizens also had the opportunity to participate in this meeting. 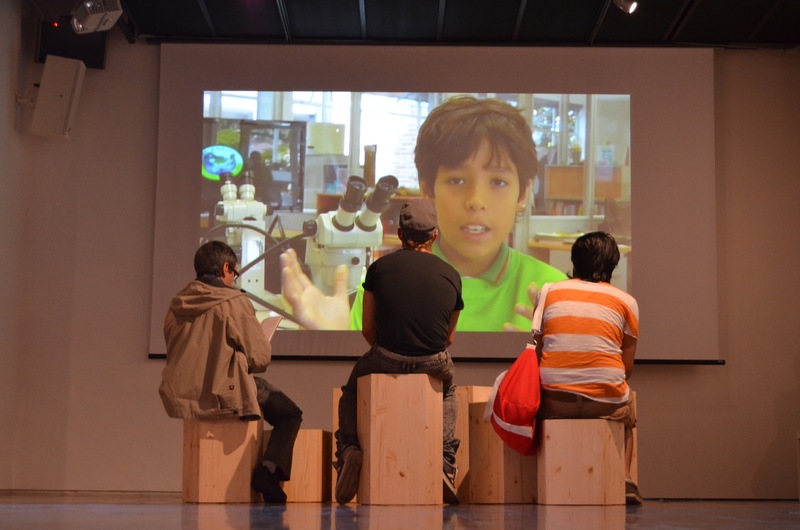 During the afternoons there were several free activities opened to the general public: collective creations with Lego, magic shows, concerts, collective intelligence experiments and scientific monologues. 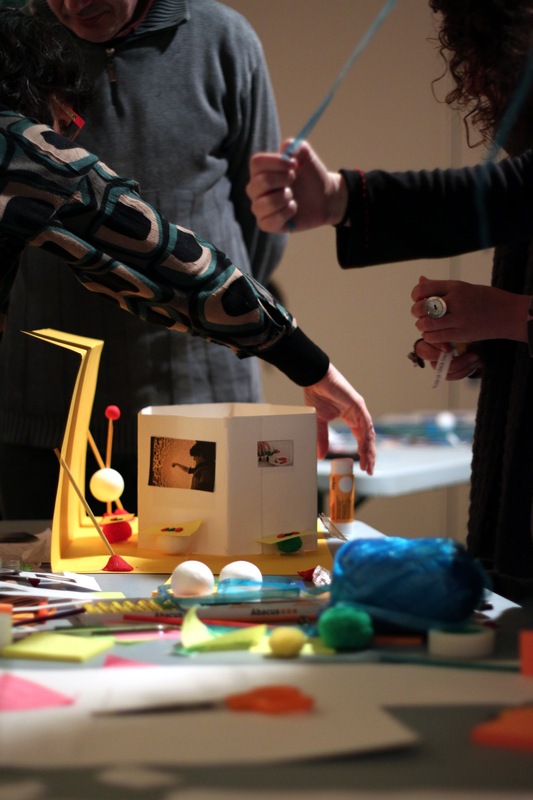 La Mandarina de Newton also participated on this conference with the workshop ‘Creativity in Motion’. This was a two-day session workshop where, by playing with methodologies to promote creativity and with the help of new mobile technologies, participants had the opportunity to explore an audiovisual technique, Stop Motion, which is accesible to everyone and that can be used to communicate content in an easily, attractive and funny way. You can watch all the videos created during this workshop on our Youtube Channel. In addition, Irene Lapuente from La Mandarina de Newton was one of the moderators of the round table “Mixed, not stirred. Intersections, tangencies, miscegenation”. On this session there were four experts on hybridizing science with other disciplines, such as literature, music, art, graffiti or citizen participation. Two physicists, a musician and a mathematician: Gustavo Ariel Schwartz, Antonio Arias, Josep Perello and David Martin de Diego, presented their experiences and discussed with the others and the audience the chances to mix and the future of science. This was an event organised by the Zaragoza City of Knowledge Foundation in collaboration with the City Council, together with the Spanish Association of Science Communication, the CSIC, the University of Zaragoza, the Science Communication Observatory of the Pompeu Fabra University and the Ibercivis Foundation.